Serious Food had a great night last Friday presenting the range of Dots Doughnuts and Italian Piadina to contract caterer Talkington Bates at their annual conference in High Wycombe. The feedback was fantastic. Dots Doughnuts are making such an impact, as caterers seize the opportunity to compete with high street retailers and offer a premium doughnut offer. 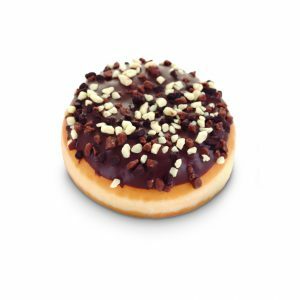 These high quality doughnuts are also supplied with a range of fantastic point of sale items that provides the perfect retail solution. The chef’s and managers were also impressed with our brand new Italian Piadina. These seriously tasty flat breads from the Emilia-Romagna region of Italy were an instant hit as we constructed a tiny little Piadina stall on our stand and cooked fresh Piadina with Stracchino cheese, rocket and prosciutto.